Col McGunnigle hasn't added a story. 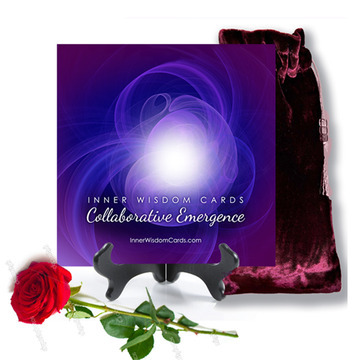 I share these cards with the intention that you feel inspired, lifted and transformed ... and remember who you truly are ... a powerful being and a beautiful gift to this world! Whenever I read something which inspires me, calls me to grow or lifts me in some way, it’s my nature to create something from it, to ground the message I received. 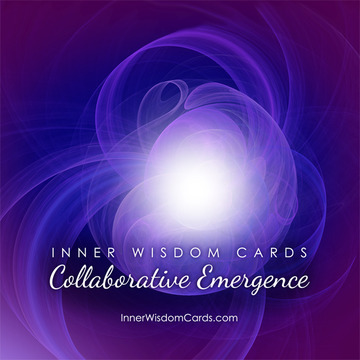 When creating these cards, I experienced a pure, uplifting and healing energy that erases density and transmutes whatever is going on around me. If I could share this feeling with everyone, I would in a heartbeat because it is pure magic. This is why I created these cards for you, for me, and for us all. 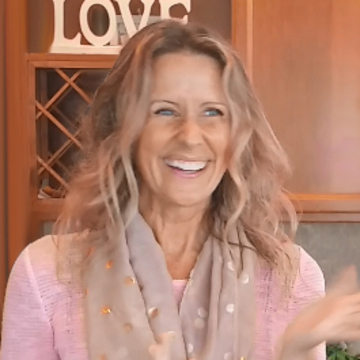 I share these in hopes that you too will feel inspired, lifted and transformed and remember who you truly are ... a powerful being and a beautiful gift to this world! 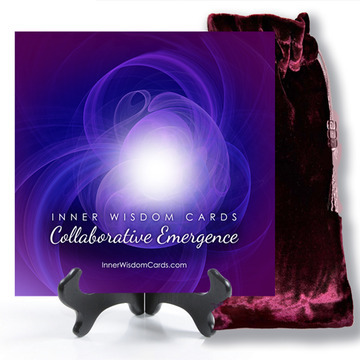 The entire deck consists of 48 Inner Wisdom Cards plus 6 informational cards suggesting various ways you can use the deck for opening to guidance, healing life issues and energetically seeding the future. I've been creating imagery that sings to the soul since 1989. As owner and creative director of Design by Muse, it's been a blessing to co-create with coaches, healers and soul-centered entrepreneurs doing beautiful things in the world. Connecting, learning what makes their spirits soar, and designing logos and web sites to help them shine their light is close to my heart. 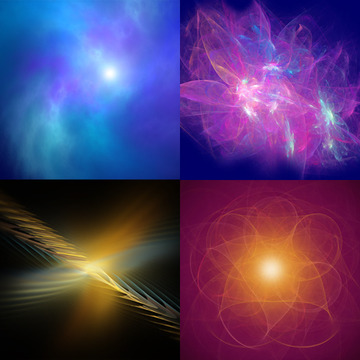 These vibrationally infused images naturally flow through me in a magical dance of inspiration. They are born when they wish to be born and are a delight to welcome into the world. When one is ready to emerge, I cannot *not* create it ... no matter whether I'm sleeping or taking a bath, when I'm called to create, the imagery carries me, flowing out in this unstoppable, inspired dance that both moves and completely uplifts me. I feel blessed to be receiving these and to be able to share them with you. I believe there is healing energy infused into them because of the way that I feel as they are being created. It's a pure, uplifting energy that erases density and transmutes whatever is going on around me. If I could share this feeling with everyone, I would in a heartbeat because it is pure magic. Each of these images emerged while I was meditating upon a particular essence, a presence state we can choose to pulse out into the universe. Through things like music and art, we can bathe our senses in the energy we choose, to support and enhance our intentions. This special co-creative dance … the way words and imagery weave together and play off of one another … truly is magical and has come to be a great gift to me and to others. I encourage you to make friends with whichever image calls to you, allowing it to lift you to the vibration of the essence state that birthed it. Enjoy basking in the energy! 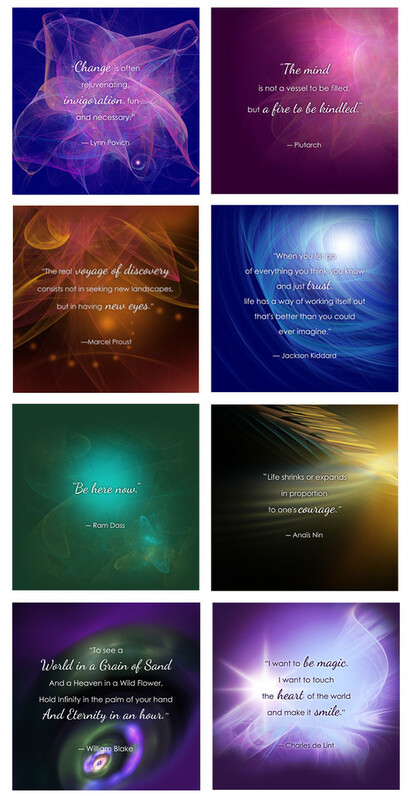 I've held this dream in my heart for nearly six years, to create a deck of inspirational cards to share with the world. You've heard the phrase "set it and forget it" yes? Well this is exactly what I did. I stated my intentions and then dropped all thoughts of how I would reach this dream. Actually, if I'm being honest, at the time it felt a bit farfetched. After all, didn't you need to spend tons of hours (turns out I spent over a hundred, no lie! That's what happens when something's a labor of love) ... plus come up with tons of money to order the minimum quantity a printer will agree to run for a custom job like this? So I enjoyed the delight of this flight of fancy, the notion of creating this custom deck ... and set it on the back burner, not really thinking too much about it. Years later, Elyse Hope Killoran would casually toss out, "Write it down and put it on a card!" when sharing an especially juicy bit of wisdom. Looking back, I'm pretty sure she meant "write it with a pen on an index card" but it must have perked up some seed that had been planted in me. I honestly didn't even connect it with my dream but I very naturally began making these cards and sharing them with Elyse's group. A series of synchronicities and inspired-action steps transpired, a very natural giving and receiving of our talents and energies between Elyse and I. One day I will share these with you too ... It's a pretty interesting tale. But long story short, I suddenly realized, to my surprise, that I had created nearly enough cards for an entire deck. It was then that I remembered having put my dream out to the universe all those years ago. I have no idea why I didn't put two and two together as this was evolving but I believe that it had to be this way ... The lack of pressure is, for me, essential to creation. I am so incredibly grateful to YOU for taking the time to read my story and considering joining me ... to everyone who's loved and supported me on this journey ... everyone who's shared what they see in the images and how they've been touched, moved or transformed ... and everyone who's encouraged me to bring this dream to life during this last leg, once I realized the dream was here within reach. For me, a hundred hours of creation is nothing but the last little bit is where I sometimes falter ... when I'm nearly about to turn the corner and see the finish line. So thank you to the dear ones who have taken my hand during this last bit and pulled me over the finish line. To say that I love and appreciate you doesn't at all do justice to what I feel in my heart. You are placing an order for the first print run. I will update this page when your Inner Wisdom Cards ship out to you in August. Col McGunnigle hasn't posted any updates yet. 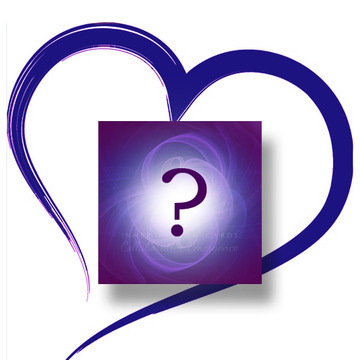 I will create a vibrationally infused image especially for you to reflect whatever intention or presence state your soul desires. This is a one of a kind digital mixed media art piece on 8 x 10 gallery wrapped canvas. Plus an Inner Wisdom Card Deck (of course! ), overnight shipping and lots of love. Col McGunnigle is managing the funds for this campaign. The campaign is for a personal cause.